The Need For A World Seagrass Day—A day of global recognition and supporting outreach activities, is the first crucial step towards bringing seagrass into the collective consciousness of the world’s populations. We are currently inviting Expressions of Interest (EOI) for a Special Issue of Marine and Freshwater Research — inspired by the number of high quality presentations at the recent World Seagrass Conference and ISBW13, that was held in Singapore in June 2018. 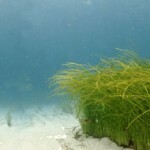 The theme of the issue follows the conference theme: Translating Seagrass Science into Action—and will seek manuscripts that emphasize the applicability of scientific research to advance evidence and science-based solutions, management practices and policies for the conservation of seagrass meadows globally. The World Seagrass Association is a global network of scientists and coastal managers committed to research, protection and management of the world’s seagrasses. The idea for the association has its genesis in a keynote address by Professor Ronald Phillips at the Third International Seagrass Biology Workshop in 1998. Our members come from many countries and include leading scientists in marine and seagrass biology. The association supports training and information exchange and raises global awareness of seagrass science and environmental management issues. Online membership registration and dues payments are now available — if you have any enquires regarding new or ongoing membership please contact the WSA Secretary by email.